Hey all, my name is Alex Williams (@Weeblewobs on twitter), and in this report, I’ll discuss how I managed to win Greensboro Regionals with a team of my own. I started playing VGC halfway through 2017, and since I won several MSS’s and PC’s, my natural next step was to top cut a regional. I felt like I had it in me, but unfortunately, I always fell short of actually achieving that dream, including going 5-0 to 5-3 at one regional. I came the closest I ever was at 9th in Collinsville regionals, and finally came through a few weeks later in Greensboro. Surprising even myself, I didn’t just stop at top 8 there. I always try to think outside the box when teambuilding, and I personally feel my teambuilding skills are my strongest asset as a player. I’ve created a lot of fun teams with my good friend Justin (@RexChaosVGC), and enjoy trying to make my favorite Pokemon work even if they’re not standard. The box in the 2019 format is Xerneas. It goes without saying why it’s so popular, and the Xerneas Lunala team Ashton and Jeremy created pretty much set the meta. That’s a powerful team, but I saw the potential Ho-Oh showed as a counter to it. Ho-Oh naturally tanks Xerneas attacks, can OHKO the deer’s common partner Amoonguss, and takes advantage of Groudon’s sun to threaten the land lizard. With my personal love for the Gen 2 bird, I chose Ho-Oh as the starting point for my team. While it may seem counter-intuitive to partner Ho-Oh with Kyogre, since you’d think Ho-Oh wouldn’t want the rain to weaken Sacred Fire, their synergy is actually amazing. The only thing Kyogre doesn’t like fighting is grass types, which Ho-Oh absolutely destroys. 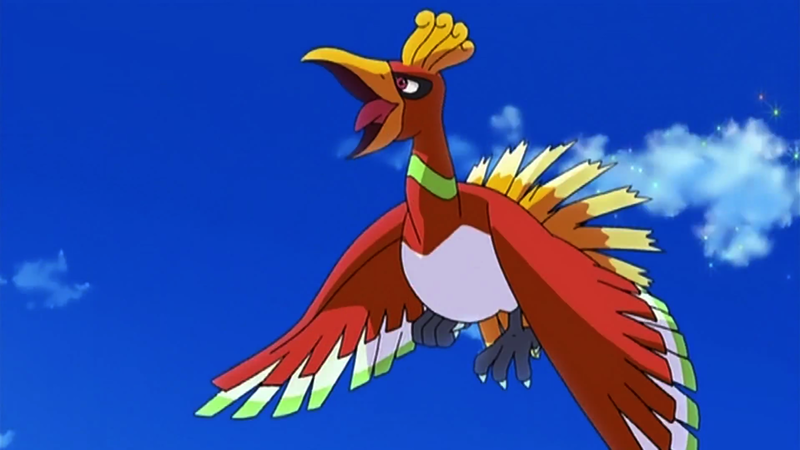 Additionally, Ho-Oh has a great matchup against Kyogre’s nemesis Groudon, threatening burns and taking advantage of the sun. Justin and I chose to run Safety Goggles on Ho-Oh to stop Venusaur’s Sleep Powder, and because we really don’t like Amoonguss. We spent about a month fine-tuning the details of the team, and the final version was in place about a week before Collinsville. Having revealed the team at local events and on Pokemon Showdown, people were starting to catch on to the legendary core, but the unique secrets of our team were safe. Ho-Oh is, of course, the focal point of this team. I love the big bird and wanted to take advantage of the great matchup it has against Xerneas, who is the most dominant Pokemon of VGC 2019. No need for tricks, a simple move set of Tailwind, Recover, Sacred Fire, and Brave Bird allows Ho-Oh to do all it needs to. The 100 speed EVs allows Ho-Oh to outspeed Modest Ludicolo, which is important if I set Tailwind up against opposing rain teams. The 156 Attack allows Ho-Oh to 2HKO Groudon in sun, and 2HKO Xerneas with a Sacred Fire followed by a Brave Bird. The rest of the EVs just went into bulk, which allows the Fire/Flying bird to survive any Groudon Rock-type move except Stone Edge. I was a fan of Leftovers but Justin convinced me to run Safety Goggles, which was 100% the play. With this item, Amoonguss can’t touch 3 of our 6 Pokemon, and I Brave Birded countless Pokemon who thought they were safe with their mushroom partner Rage Powdering. It’s also extremely satisfying seeing Venusaur/Groudon players’ faces when their Sleep Powder fails. This slot needed to be a bulky Grass-type to help with the rain matchup, and Assault Vest Tapu Bulu was originally here. While his terrain allowed Ludicolo to OHKO opposing Kyogre, Tapu Bulu just wasn’t performing too well (bless him). We switched him out for Kartana, and while Kartana did a bit better, he wasn’t the rain switch-in we needed from this slot. Then we arrived at Ferrothorn, who could take Xerneas and rain attacks and helped with the Trick Room matchup, to which our team was noticeably weak at this point. I have to give all credit to Justin as this is his Ferrothorn set. Ferrothorn was the MVP of many games and is unexpectedly the key player in Zygarde matchups. Acid Spray allows me to reduce Zygarde’s Special Defense to -1 after the Misty Seed boost, which lets Kyogre dispatch it with ease. So you’re building a team around Ho-Oh Kyogre, what’s the first thing you notice? The glaring Electric weakness was my first concern, and Raichu patches that up nicely. Justin and I were torn between Togedemaru and Raichu since Togedemaru is a Steel type, but I saw the potential in Encore. Raichu outspeeds Xerneas, which allows it to Nuzzle the overpowered deer before locking it into 6 turns of Geomancy with a round of applause. Raichu loves Nuzzling Lunala since it breaks Shadow Shield, and the Focus Sash almost guarantees Raichu gets off at least 2 Nuzzles before going down. Raichu’s Fake Out + Volt Switch along with Incineroar’s Fake Out + U-Turn grants unparalleled control of positioning, which is one reason why I think this team is so strong. This electric mouse single-handedly won me several games. If a team doesn’t have a good answer to a rain lead, Ludicolo and Kyogre can potentially sweep with you just pressing buttons. Without another Z-mover, it made perfect sense to slap it on Ludicolo. sombrero-wearing pineapple-platypus gives me the edge I need against opposing Kyogre and is a strong offensive option. Even if you could name me 2 good reasons for Ludicolo to run Ice Beam in this format, which you can’t, I’d still opt to run Protect since Ludicolo can often be the most important Pokemon in a matchup, and is notably the only Pokemon on this team running it. Justin and I experimented with Azumarill and Kingdra in this slot to help with the weak Palkia matchup, but none were as consistent as Ludicolo. With Intimidate, Fake Out, and U-turn, it’s easy to see why Incineroar has been the most popular Pokemon in VGC since its hidden ability was released. On this team, Incineroar serves as an incredible Lunala check and can allow Ho-Oh to take Rock-type moves from Groudon a bit more comfortably. Snarl provides another way to reduce the threat of Xerneas, and as mentioned before, U-turn along with Raichu’s Volt Switch allows for amazing positioning plays. Justin and I wanted a fast cat to have an edge over opposing Incineroar, and the 89 Speed stat allows us to outspeed Kartana in Tailwind. The 84 Defense EVs ensures Kartana’s Sacred Sword doesn’t 2HKO and gives us a good chance to live even Banded Groudon Precipice Blades. Both the Speed and Defense investments had huge impacts in my Greensboro top cut matches. Choice Scarf Kyogre is so good. The other focal point of this team, the synergy between Kyogre and Ho-Oh is surprisingly effective. Ho-Oh takes care of the Grass-types Kyogre doesn’t like facing, and Kyogre takes care of the rest. Remember how I mentioned that Raichu and Incineroar allow for great positioning? It’s all about getting Kyogre in a position to launch big Water Spouts off, usually in Tailwind provided by Ho-Oh. One thing I will note is that we chose Scald over Origin Pulse to have a more consistent option since missing Origin Pulse is a choice. By far my most common lead, and my personal favorite, a fast Fake Out almost guarantees you get your speed control. If your opponent goes for their own Fake Out or Tailwind, give them a round of applause. 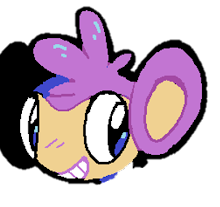 Oftentimes I would go straight for a Nuzzle onto the opposing Pokemon turn 1 because the longer they’re paralyzed, the greater chance they have of being fully paralyzed. This is what you want to lead against Tapu Koko teams, and if your opponent doesn’t have a Tapu Fini, the mouse and the bird can go to town paralyzing and burning things. No surprises here, this lead is predictable but strong. Ludicolo's Fake Out in rain is the 3rd fastest Fake Out in the entire game behind Alolan-Raichu in Electric Terrain and Shiftry in sun, which prevents your opponent from faking out Kyogre. Your opponent often prepares for this lead game 1, but usually not in subsequent games. Remind them to respect it in game 2. Our cat is faster than your run-of-the-mill cat, which lets Ho-Oh get Tailwind up more easily. Intimidating Groudon is super important so Ho-Oh can survive the Rock-type move of choice, and you want to start Snarling at Lunala right away. This is what you lead against Xerneas Smeargle teams since you either get a Snarl or Sacred Fire off on Xerneas, and Smeargle can’t Spore Ho-Oh. If they’re running Lovely Kiss, well, get ready to play some Pokemon. My day 1 swiss schedule was stacked with elite players, the first of which was Pd0nZ. I have mad respect for this madman running Lugia, and the battle of the Gen 2 birds was legen- wait for it… dary. Raichu Nuzzled Lugia on turn 1 and Lugia was fully paralyzed every turn the rest of the game. It was so bad that even his plane was paralyzed, and his flight was canceled. Yeah, Patrick wasn’t able to make it to Greensboro so I got a free win round 1, but I have no doubt we would have had one of the most fun sets of the weekend. I was completely unaware that Stephen had just won Toronto, which was good because I didn’t psych myself out at the prospect of facing such a great player. I led rain both games into Stephen’s Xerneas + Amoonguss lead. I Fake Out Amoonguss and Water Spout, doing 90% to his deer which went for Geomancy. The thing about my team is, it’s not even that bad if Xerneas boosts. Simply switch into Ferrothorn in the back and Protect Ludicolo, and neither Amoonguss nor Xerneas can do anything about it. I made the wrong call game 2 thinking he would protect his Xerneas when he didn’t though, and Hydro Vortexed into a basically dead Xerneas which did massive damage to both my waters with a boosted Dazzling Gleam. After a few more turns, I won in game 2 when his Kartana went down to Iron Barbs damage from Knocking Off Ferrothorn, the first time during the weekend my team came through for me even when I made the wrong call. This man had a Nihilego, which normally would strike fear into my Ho-Oh's heart. But looking at the rest of his team, I realized he had absolutely no way to hit Ferrothorn. I led Ferrothorn both games and Nihilego didn’t last long. In game 2 he realized how much of a threat Ferrothorn was, and smartly started focusing it with attacks, including a Z-Hurricane from Tornadus. It did maybe 35%. His Ludicolo did get an Ice Beam freeze on my Ferrothorn game 2 which made my heart skip a beat, but Ferrothorn unthawed immediately to seal the set. I’d like to start off by saying how nice of a guy Santi is, and how freaking well he was playing in this regional. This man 2-0’d me cleanly after 2 straight rounds without even coming close to losing. His hard Trick Room Lunala + Groudon + Incineroar + Gravity Tapu Fini was a horrible matchup for me, and I had no idea how I was going to stop it. In game 2, he led Incineroar + Lunala into my Kyogre + Incineroar lead. This guy didn’t Fake Out my Kyogre at the prospect of getting Water Spouted, and instead U-Turned my Kyogre switch out. He played the set perfectly, and there was nothing I could do. Both of us were at X-1 at this point thanks to Santi, and when I saw the mirror match, I knew why. Brady is such a nice guy and chatted with me before our match, and he had a big smile on his face the whole time. That is extremely admirable considering how our match went. He didn’t have Raichu, which allowed my electric mouse to be MVP. I think 3 of his 4 Pokemon were paralyzed in our 3rd game, and they were fully paralyzed on more than several occasions. That’s what Raichu is here for. At X-1 going into the final round, it was the win and in. I was in the same situation a few weeks prior in Collinsville where Allan Martinez bested me in an extremely close set to cut that regional. I was determined to cut this time, so I was nervous to see my last match was against Zygarde piloted by Brian. Brian is a veteran player and my Zygarde matchup was shaky at best, so I knew I had my work cut out for me. Going on stream, Ferrothorn put in work Acid Spraying the Zygarde and forcing it out and picking up the Solgaleo KO with knock off in an extremely close game 3. Kyle was playing phenomenally all weekend, but I was confident in my matchup against his team. His Tapu Koko Lunala lead couldn’t really stop my Raichu + Ho-Oh lead, and Lunala was paralyzed turn 1 game 1. I tried to switch it up and catch him off guard with a rain lead in game 2. I knew his Assault Vest Tapu Koko could take a Hydro Vortex, and I knew if his Lunala had Wide Guard it would stop my Spout, so I doubled the Tapu Koko with a Scald to take it out while his Lunala worthlessly Wide Guarded turn 1. He was on the back foot the rest of the game but made good plays to stay in it until it was his Lunala and Incineroar vs my Ho-Oh. The phoenix's Pressure stalled Lunala’s Moongeist Beams with Recover, and when he ran out, it was GG. Link to stream match. Not gonna lie, I was really hoping Allan would best Santino in their top 8 match because I felt much better against Allan’s team than Santi’s. My only loss in Swiss, I had absolutely no plan against him. I couldn’t stop his Trick Room, I couldn’t really win the weather war, and Ho-Oh was worthless against a banded Groudon with Rock Slide. It seemed like my streak ended here, so I decided to go crazy and have fun with the set. I led rain to a Groudon Lunala lead and immediately doubled Groudon with a Spout + Hydro Vortex. Incineroar switched in eating those 2 attacks with maybe 8% health left, while Lunala set up Trick Room. I Protected Ludicolo and switch out into Incineroar, and he doubled into the Protect. Knowing my Incineroar was faster than his under Trick Room, I doubled his Incineroar with U-Turn and Grass Knot, and you bet that Incineroar hard switched into Groudon. The legendary lizard survived at 1HP, but U-turn allowed me to get Ferrothorn on the field. I now outsped him in Trick Room and was in a good position. We both made good plays for a while, but it came down to my Incineroar and Ferrothorn (with Ludicolo in the back) against his 1 HP Groudon and Lunala outside of Trick Room. My kitty gotta go fast and outsped his Groudon to seal up game 1. We both led the same in game 2, but this turn 1 went very differently. I thought he’d switch Groudon into Fini to take the Water attacks, but that didn’t happen. The madman kept his Groudon in and Precipice Blades and Z-Moongeist Beamed my Ludicolo slot which I switched into Ferrothorn. He took out Ferrothorn and reduced my Kyogre to 10% health turn 1, and all I got off was a Water Spout in the sun which broke Shadow Shield and took Groudon down to 45% HP. I was in dire straits and started thinking ahead to game 3. But I didn’t give up and made simple plays in a meager attempt to stay alive, throwing Grass Knots out at his Incineroar hoping to catch a Groudon switch in. I somehow managed to stall out his Trick Room and get Kyogre and Ludicolo on the field in rain. But then I made a bad play. Not thinking about the fact that Nature’s Madness was the only attack his Tapu Fini had, I locked my Kyogre into Thunder to deal with the Fini. But Fini couldn’t have finished off my Pokemon, so I didn’t need to deal with it. His Groudon was at 98%ish HP and we saw in game 1 it would survive Grass Knot, so it looked like I threw the game. After some crazy Thunder in sun with Gravity up shenanigans, Grass Knot did end up taking the KO on Groudon, which I later found out had a 28%ish chance of doing so. This was another key moment this weekend where my team came through for me even when I made the wrong call. This was the craziest set of Pokemon I’ve ever played, and I encourage you to go watch the video. Santi is a great guy. Game 2 I led with my Kyogre and Ho-Oh, which was horrible against Ashton’s great Tsareena and Kyogre lead. I figured he would Helping Hand Thunder my Kyogre, so I attempted to win the speed tie with my own Thunder and set up Tailwind. You never want to go for speed ties, but I was on the back foot turn 0. He won the speed tie, knocking out my Kyogre while I set up Tailwind. Fearing another Helping Hand Thunder on my Ho-Oh, I doubled his Kyogre, which he smartly switched to Kartana, letting his Tsareena U-turn my Ludicolo. In the end, it came down to if Origin Pulse hit all of my Pokemon, which it did. Game 3 was crazy. I led Raichu Ludicolo into Ashton’s Kyogre Tsareena lead. I Hydro Vortexed and Volt Switched into his Kyogre thinking he’d switch out, but he didn’t. Unfortunately for Ashton, his Origin Pulse missed both of my Pokemon, and his Kyogre was in the red with nothing to show for it. After his Kyogre eventually went down, I felt confident in my victory since he had nothing else to hit Ho-Oh. That was until his Tsareena feinted my Raichu and his Solgaleo revealed Wild Charge. Ludicolo’s Fake Out provided Ho-Oh one free turn to do something, and I made the wrong call yet again. Fake Out+Tailwind would have won me the game, but I Recovered instead of setting up Tailwind, thinking I could take 1 more Wild Charge. I guess I wasn’t wrong, because Ho-Oh survived with 6 HP, setting up Tailwind and achieving a sacred victory with a Sacred Fire. That’s what I mean when I say my team came through for me this weekend. I almost didn’t go to Greensboro. It was 12 hours away and I would have to make the drive solo to get there at 12am. I slept in my car in a Wal-Mart parking the night before the regional. But I was so close at 9th in Collinsville a few weeks prior, and I really believed this team could do it, so I decided to give Ho-Oh one last shot before Moon series ended. I’m glad I did. This win means a lot to me not only because it’s the first time I’ve ever done this well at an event, but because I did it with my own team that I built with my good friend Justin. I didn’t borrow this team from anyone, I didn’t even know Andrew Burley used an extremely similar team months ago, I just wanted to build a team with Ho-Oh and it turned into something great. Unfortunately, I really don’t see Ho-Oh being any good in Ultra series, which starts in a few weeks from the time of this article, so it looks like this was my last ride with the Rainbow Pokemon. I’ve won a PC, an MSS, and now a Regional. Next stop is Internats and Worlds. Shoutouts to Justin (@RexChaosVGC) of course for building the team with me, and to Kyle (@mewtwobaws) who helped prep me for top cut.